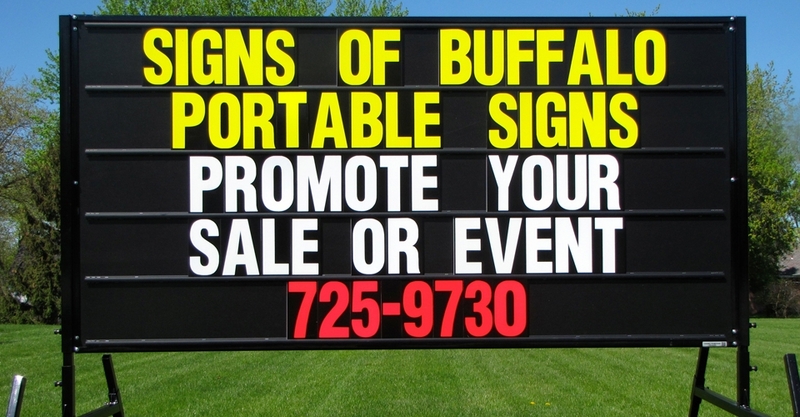 With Signs of Buffalo portable sign rentals possibilities are endless. 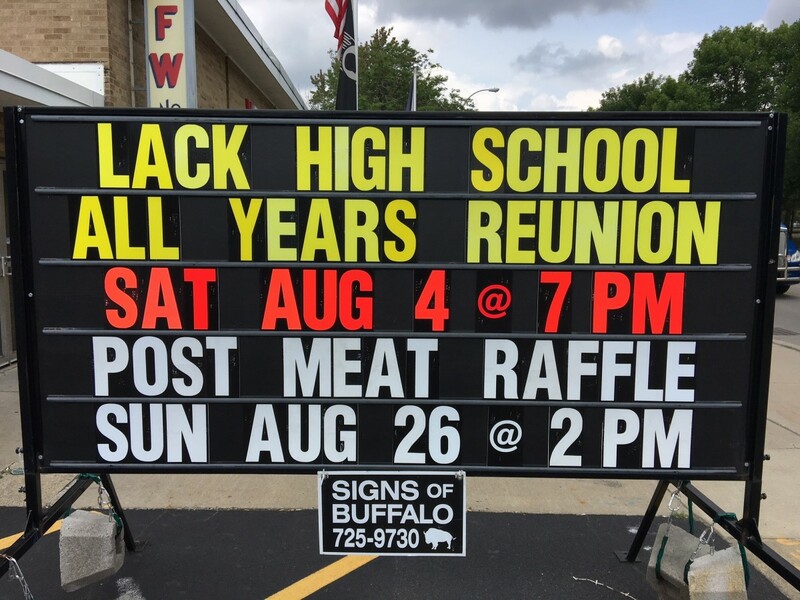 Due to the size of our signs you can promote two events at the same time. 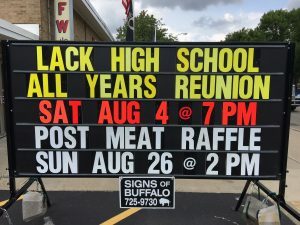 You can also provide more details. Click here for measurements.